On Wednesday, January 31st the Center for Entrepreneurship co-hosted a convo with the Office of Career Development to give students the opportunity to learn from some of Nashville's creative entrepreneurs. Belmont Alumna Libby Oellerich (2014) moderated the event and interviewed our creative entrepreneurs. She is the Creative Content Manager for Nashville Songwriters Association. She also has her own podcast called "The Local Lady." Megan Beaven, who graduated as a Music Business major in 2015. She is now the proud owner of No Baked Cookie Dough. Amanda Mazzo, who graduated in 2003 as a Commercial Voice major. She is now the Creative Director and COO of Mazzo Media. Paul Nelson, a Commercial Cello major who graduated in 2002. He is now a Session Musician, Educator and Musicpreneur and has worked with artists such as OneRepublic and U2. Ryan Schemmel, who majored in Music Business and graduated in 2010. He is the co-founder of Fort Houston. 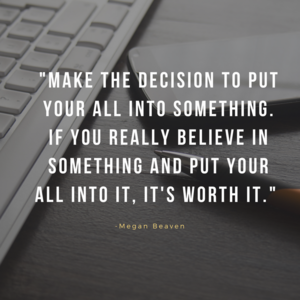 Megan said that one of the biggest challenges of being an entrepreneur is trying to make enough money to match what you would have been making in a more traditional position. She worked in the music industry for a year after she graduated from Belmont and felt like she could either "keep climbing the music industry ladder" or do something for herself. She said it was a challenge to risk the income she was making in order to pursue No Baked, but her passion for cookie dough and the desire to get out of the music industry helped her to take the leap of faith. For Amanda, the biggest challenge is keeping track of everything. She has to keep very detailed records of everything for her business. She said that when she first started her business she had to "change hats from being a creative to running the details of everyday things." Paul said that his biggest challenge is "[being] harder on [himself] than a boss would ever be on [him]." He has to keep himself on track and work very hard in order to achieve his goals. When he first began as an entrepreneur, Ryan's biggest challenge was money. There is a lot of money that goes into making your own business, and if you don't have sufficient funds, it can be detrimental. He recalls moving back in with his "folks" for a year in order to save up enough cash to start Fort Houston. Another big challenge for Ryan was customer service. If any of you have ever worked in retail, you know that dealing with unhappy customers can be quite the challenge. Ryan said that he learned this the hard way! 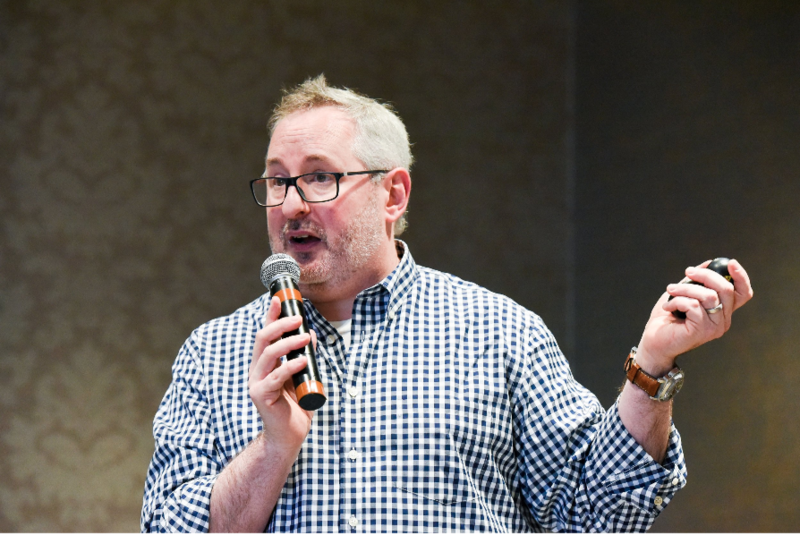 When he first started out as an entrepreneur, Ryan didn't have the funds for traditional marketing channels, so instead he tapped into the Nashville community. He had friends in local bands play at Fort Houston's events and promoted his business through them. Amanda said,"If you're not going to be an advocate for your business, no one else is going to do it for you." This means that if you are not going to promote your business, then it simply won't "get out there." You have to put work into making sure people know about your business and who you are, and you can grow from there. Making contacts or networking can help with this. Amanda suggested the Nashville Junior Chamber and Young Alumni as great organization with which to get involved. Megan also harnessed Nashville's expansive and supportive community. Like Ryan, she did not have the funds for a big advertisement campaign when she first began her business. "The Nashville Community was great for getting the word out! I harnessed Nashville's love for local business." She reached out to lots of Nashville-based social media accounts and asked them to try her cookie dough and post about it. She also had to learn the do's and don'ts of setting up pop-up shops. There are a lot of rules and regulations that go into selling on public property, so she had to work with private businesses to set up shops. Megan admits that she didn't really know what to expect when she first started No Baked. It was a lot of trying to keep up with orders, and she quickly saw that she couldn't do it all by herself. It goes to show that you don't know the issues until you actually start the business. Megan used targeted instagram pages that focused on the trends in Nashville and marketed toward Milennials. On her marketing strategy, Amanda said, "The most cost effective marketing is definitely social media." For Paul, it isn't about social media marketing. For him it's all about trying to make money doing what he loves most: music. But, to get his stuff out there, he doesn't just play music. He does it all. He describes it as "going through the open door." The small businesses that worked with Ryan began collaborating with each other. His business became a great place for businesses to connect. Some businesses have been working with Ryan and his business since day one, and they are extremely loyal. He says, "They watch each other grow as we grow." They have now grown to hosting just over 60 businesses. For Megan, learning to say no was very important. People often come into her store saying, "I can do this, if you pay this amount." Instead of paying people to do various things for her business, she steps back and tries to see what she could do for No Baked. "If it's something I can do, then I will do it to save the company money." "Make the decision to put your all into something. If you really believe in something and put your all into it, it's worth it"
Amanda's advice for saying no is to look at your own goals. If a request aligns with your goals for your business, consider doing it. If a request fails to align with the goals of your business, tell them no. When Paul gets a request, he tries to incorporate it into a system he already has. He also tries to align it with what he's trying to do: "Can you put together a brass section? I could but it's not part of what I'm trying to do." "Taking the jump is scary but so worth it." Amanda recalls being afraid to make the change from working a steady job to being her own boss. Paul said finding a rental property for his business was extremely difficult. Nashville properties are really expensive, something that needs to be taken into consideration if you are planning to have your business in Nashville. Ryan said, "The risks of starting something new at the beginning is pretty obvious. Choosing whether or not to continue to take risks is more complicated. Once things kind of level out it is good. Do you want to take the same risks? It's important to level the risks out as they go along." "You all know what your skill sets are. If you do something really well don't stop doing that thing or spread yourself thin. Getting better at allocating duties or saying no. Don't spread yourself too thin." Ryan gave the advice of using your strengths to your full advantage but not to get in over your head. If you can delegate tasks to other people so you can focus on what is most important, do that. Paul said that learning balance was a struggle for him, but a very important skill for the entrepreneur. 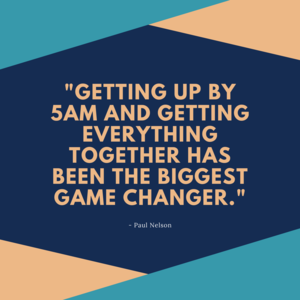 Paul said, "Getting up by 5AM and getting everything together has been the biggest game changer." Getting up early to get stuff done and have a productive day helped Paul get where he is today. Balance was important for Amanda as well. "It's easy to get wrapped up in something that you love. I am not my job. There has to be that separation to still create and have a personal life." Making sure you have a life outside your business and learning to leave your work alone for a few hours will help you to relax and keep your sanity. Balance between home and work life is very important. Work and home life balance was also a struggle for Megan for a while. "It's hard to turned No Baked off. It's hard to ignore all the notifications." It was also difficult delegating her attention to certain things because she is "playing every single role in the business." But, she is learning new things, and even got to uncover a new passion: "[I'm] Passionate about marketing, and I found out I love this and I get to do that every day." No Baked just signed a lease for a second store in Louisville, KY. They are also about to start selling franchises to make the brand known nationwide. Amanda's company just landed an account in Las Vegas. They are trying to spread their wings a bit more and expand their business. Paul is currently working on pushing a record onto a Spotify playlist and is also working with OneRepublic. Ryan is looking to grow the experiential art fabrication side of things. His company just set up a nonprofit section for what they do. He is looking to eventually add job training for skill sets to this area of the company. As an entrepreneur, you will learn as you go. Have the courage to make what you love into your career and don't be afraid to make the jump from employee to employer. Productivity is what gets ideas off the ground and into motion. But with so many distractions, such as social media, YouTube, television and much more, it's easy to procrastinate what we need to get done. Here are some tips and tricks to be your most productive self and get that paper written, start on that project, get your business off the ground or just finally mark everything off your to do list. 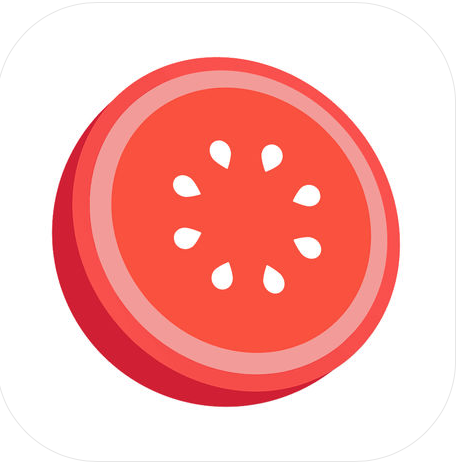 This app has you work in 25 minute work-sessions with a 5 minute break in between. It always keeps me on track and focused. After four 25 minute work sessions, you get a 30 minute break! Plus the app is free. Productivity and saving money? It's a win-win! Sometimes the fear of making mistakes keeps up from even starting something in the first place. Yes, the idea of perfection is great and all, but many times perfection is just plain unachievable. It is better to be good and done than perfect but never finished. You have probably heard this dozens of times, but meditation does help. Meditation does not have to be this big, weird thing that only monks in the mountains do. To practice meditation, just start small. Even 5 minutes a day can show improvements. So, how do you meditate? It's a lot simpler than you may think. Just sit somewhere comfortable. Your couch, your bed or the floor. I usually sit with my legs crossed on the ground or on a cushion with my palms face-up on my knees. Sit like this for 5 minutes and focus on your breathing. Sometimes it helps to count your breaths or even mentally note "breathe in, breathe out." If you catch your mind drifting away from your breath, don't get frustrated, just gently bring your attention back to your breathing. The mentality behind meditation, the ability to slow down and give ourselves a mindful break, will help with our productivity when we go back to work. It will help us see more clearly and be more relaxed and less overwhelmed. Just jot down important things that you need or want to accomplish. It's less daunting when the list is on paper rather than running around in your head. Once you have a to-do list made, go through and pick out your priorities. Work on those and do the less important tasks last. Yes, making a to-do list is very helpful, but we often fill them with so many things that they can become overwhelming. To avoid this, make a to-do list of your most important items, maybe 3-5 things, and work on getting those done. Once you get those done, you can start focusing on the smaller tasks. Instead of whining over small tasks that won't take you that long, like loading the dishwasher or making a Facebook post for your business, just get it done. Especially if it will take 5 minutes or less. Then it will be done and you won't have to worry about it. Easy-peasy! This is an easy way to make your commute to and from work, or even a trip to the grocery store productive. Just pop in some headphones, look up a subject in which you're interested and start learning while you are doing chores. This is a great way to increase your knowledge consistently. Clutter can be stressful and distracting. Take the time to organize your space so you'll feel better about the environment in which you are working. 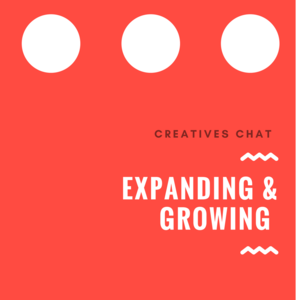 Have something that you are working towards, such as an album release or a store opening. Don't just have a big goal, but also lots of smaller goals that are easier to accomplish along the way, such as booking a gig or having a new item to start selling. Not only this, but once you've achieved your goal, celebrate your hard work! Give yourself a much-deserved pat on the back for all the hard work you achieved. 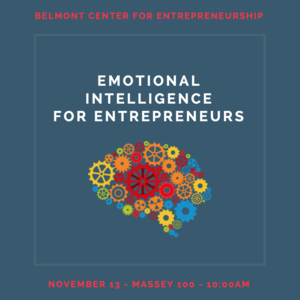 On Monday, November 13, 2017, speaker Matt Davis came to Belmont to inform students about Emotional Intelligence, or as he likes to call it, "Emotional Fitness." Matt Davis is an entrepreneur himself and founded Grapevine Interactive Technologies. Emotional Intelligence is defined as "the ability to identify and manage your own emotions and the emotions of others. It is generally said to include these three skills: emotional awareness; the ability to harness emotions and apply them to tasks like thinking and problem solving; and the ability to manage emotions, which includes regulating your own emotions and cheering up or calming down other people." (psycologytoday.com). 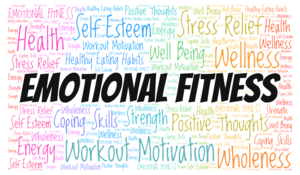 Davis prefers the term "Emotional Fitness" because instead of thinking that one is simply born with Emotional Intelligence, the term "Emotional Fitness" gives the impression that it is a skill that can be cultivated through practice, which it can be. We can practice "Emotional Fitness" in our day-to-day lives. One way to cultivate Emotional Fitness, Davis says, is to "Keep your cranes on campus." What this means is that we should keep growing. When cranes are on a college campus, it means that the campus is growing. Take Belmont for example. We have cranes on campus that are building a new housing unit, therefore our campus is growing. We need to take the "cranes on campus" idea and apply it to our minds. By applying it to our minds, we can continue growing as an individual and expanding our knowledge. Another way to practice Emotional Fitness is by asking Why, or as Matt Davis calls it, "The Powerful Why." Whenever we are doing something, we should ask ourselves why. "Why am I doing this?" "What am I shooting for?" Knowing the reasons we are doing what we're doing will help us continue to stay motivated and work towards our goals. His next advice was to "BYOC" or, Be Your Own Competition. "Competition is a great thing," Matt says, "but it can be detrimental if we start to compare ourselves to others." We should focus on continuously bettering ourselves. Comparing ourselves to others can hurt our motivation to keep reaching toward our goals. "Don't worry about what everybody else is doing, follow your own dreams." If we ignore the doubts of others and focus on achieving our own goals, it will help you achieve Emotional Intelligence. Davis also says to set "small goals to pat yourself on the back." Have little benchmarks everyday to help you recognize that you are going a good job. Matt Davis also brought up the example of Matthew McConaughey, a famous American actor whose net work is about $95 million. When asked who his hero was, young Matthew McConaughey responded, "Myself in 10 years." We should keep bettering ourselves and plan for the future. Be your own hero. Be the person and the change you want to see in the world. Another good way to practice Emotional Fitness is to be happy and optimistic. Easier said that done, I know, but happy and optimistic people are able to see the good in themselves, the world, and others. Optimistic people have hope. "There's a lot of good in the world, but if we're not looking for it, it's tough to see," Davis says "if we start to see the best in ourselves and the world around us, we will start to see what we are looking for." 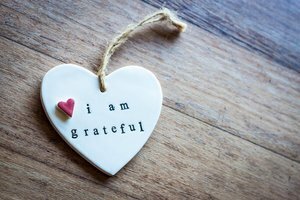 Adopting an attitude of gratitude can also help us gain Emotional Fitness. Matt Davis asks us to "Recognize everyday what a gift it is to be here." Keep a gratitude journal. People who keep a gratitude journal are generally more happy than those who do not. Keeping a gratitude journal doesn't have to be anything fancy, it can simply be scribbling 3 things you are grateful for on a piece of paper a few times a week. Try it! You may find yourself to be a happier, more optimistic person. If you do try it, please comment below how it works! Many times in life, plans fall through. A regular person may give up or feel defeated when this happens, but Emotionally Fit people such as ourselves to not give up when everything doesn't go to plan, instead they learn how to adapt and keep moving forward. Matt Davis gives these moments in life a name: A Curveball. An important part of being emotionally fit is "learning to hit a curveball. No matter what you do, you are going to make plans, and things are not going to go as planned. What you need to do is be able to adjust those plans." 1. Expect it. Always be on the lookout. If you have a plan in place, you can see the curveball coming if it isn't part of the plan. 2. When the curveball comes, do not panic. Stop and take a deep breath. 3. Adjust. To execute the plan you need to adjust the plan accordingly. So, in short, EXPECT the curveball, BREATHE, and ADJUST accordingly. You got this! Emotional Intelligence is something we can all practice and cultivate, and by having Emotional Intelligence we can be the positive change the world needs in the workplace and in our day-to-day lives. This week, Belmont will be Celebrating Global Entrepreneurship week with thousands of other Entrepreneurs. To celebrate, we have events scheduled throughout the week (November 13-19th). Our first event will be a talk about Emotional Intelligence for Entrepreneurs with our speaker, Matt Davis, from Grapevine Interactive Technologies. He will inform the students on how emotional intelligence can help your performance. This talk is designed to give you immediate results and increase your overall happiness and achievement. This event is going to be on Monday, November 13, 2017 in Massey 100 at 10:00AM. Our Second event will be our much anticipated Business Pitch Competition! 10 of our Belmont Student Entrepreneurs will be competing n for cash prizes in a Shark Tank style environment. They will be presenting two minute business pitches to a the audience and a panel of judges. There will be first, second, and third place winners. The prizes will include $100 for our third place winner, $200 for our second place winner, and $500 for our first place winner! Come out to support your fellow students and to see what amazing businesses they have created. This event will be held in the Massey Boardroom on Wednesday, November 15th at 10:00AM. The third and final event of this week will be a Thanksgiving Popup Shop to celebrate our student run businesses! 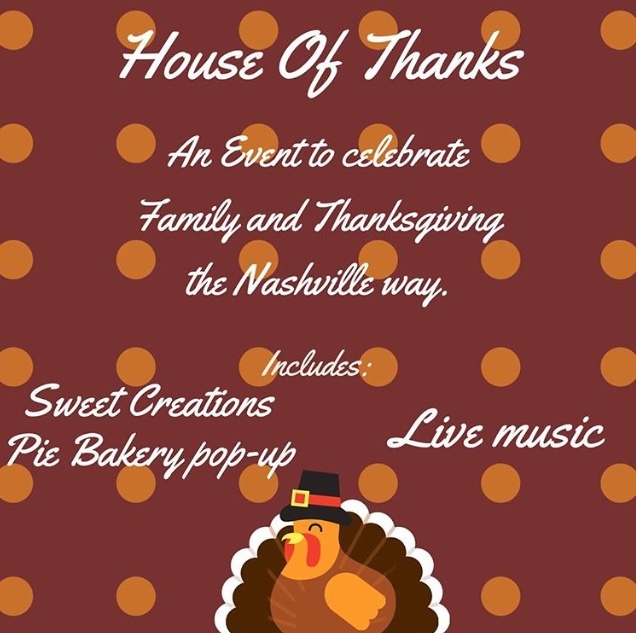 Sweet Creations Pie Bakery will be there, and they will also have live music! Don't miss it! This will be held on November 18, 2017 from 11:00AM - 3:00PM at the student run stores. So, what exactly is Global Entrepreneurship Week? "Global Entrepreneurship Week is a celebration of the innovators and job creators who launch startups that bring ideas to life, drive economic growth and expand human welfare. During one week each November, GEW inspires people everywhere through local, national and global activities designed to help them explore their potential as self-starters and innovators. Meanwhile, world leaders and local elected officials alike have embraced the campaign as they look to fuel the economic engine of high-growth startups in their own countries and communities. During 2013 alone, 126 heads of state and ministers from 69 countries supported Global Entrepreneurship Week by speaking at activities during the Week, filming statements of support or otherwise endorsing the national campaigns in their countries. GEW is more than just an awareness campaign. It is a platform for connection and collaboration—engaging all players along the entrepreneurship spectrum in strengthening ecosystems around the world" (GenGlobal.org). So, basically this week is about bringing the ideas, creativity, and determination from entrepreneurs all around the globe together, and celebrating what they do. What we do. What you do! So please join us this week in the celebration, and happy Global Entrepreneurship Week! What is one of the best all-time desserts? You got it: Cookie Dough. This desert is usually eaten straight-out-of-the-tub after being store bought from Kroger, or maybe after failing to complete the last step of making cookies (the baking), and go straight into indulging. Well, one bright, entrepreneurial-minded Belmont Alumni took her love of cookie dough to the next level by creating on of our favorite local pop-up dessert stands: No Baked Cookie Dough! Unlike regular store-bought cookie dough, which can be hazardous to eat because of the presence of raw eggs and and flour that hasn't been heat-treated, Megan's cookie dough is completely SAFE TO EAT! On top of that it is extremely delicious. Need I say more? No Baked Cookie Dough started up in April 2017 as a pop-up shop. They have popped-up in lots of places around Nashville, Tennessee and Louisville, Kentucky, including Belmont's very own student-run business, House Of! Their Flavors include: Signature Chocolate Chip Cookie Dough, Double Chocolate Chip, Confetti Chip Cookie Dough, M&M® Cookie Dough, and the vegan-friendly flavor of Confetti Sugar Cookie Dough! We're so proud of Megan for creating this amazing business! Support her by checking out No Baked's website, and visiting her store! This school year has been an exciting one for us! From our on-campus stores, to our Accelerator students, we have helped, guided, and watched Belmont students start and work on their businesses. In addition to the accomplishments listed below, we held two legal clinics, a customer discovery workshop, three entrepreneur Happy Hours for networking, four Lunch & Learns, and eight convocation events with entrepreneurs! This year we brought on a new Entrepreneur in Residence, Shawn Glinter. Shawn is a serial entrepreneur himself and has co-hosted Lunch & Learns, led workshops, and mentored our Accelerator students. Students learned about Shawn and his experience as an entrepreneur at a convocation in August and through numerous one-on-one coaching sessions he's held throughout the year. Belmont University's Center for Entrepreneurship was ranked again in the Top 25 Schools for Entrepreneurship by the Princeton Review! In November, we celebrated Global Entrepreneurship Week with a variety of events. These included a convocations with alumni, Ryan Schemmel of Fort Houston, a panel featuring some of our top student entrepreneurs, and a celebration for Women's Entrepreneurship Day at House Of. In February, we hosted the CEO and Founder of Hello Products, Craig Dubitsky. Craig inspired students with his stories of success as an innovator and entrepreneur in the home products industry. While on campus, Craig spoke in a convocation, lead an Entrepreneurship class, had lunch with students, and toured our Center's co-working spaces and student-run businesses. Our Annual Business Plan Competition was a fierce competition of 10 student businesses. The winners walked away with over $6,000 in prizes and are qualified to compete in the Launch TN University Venture Challenge. 2nd: Bloom Brightly Paper Co. The Fifth Annual Entrepreneurship Village took place at the Bell Tower this year and featured 32 student and alumni businesses. Entrepreneurs shared their ideas, talked with customers, and sold products ranging from peanut brittle to coloring books! Our Belmont DECA team competed at the International Career Development Conference. Their accomplishments include winning the Entrepreneurship Challenge and 9 other teams placing in the top 10 in their categories. House Of, one of our on-campus student run business, celebrated their one year anniversary in April. House Of is a collaboration with the Nashville Fashion Alliance and sells over 30 local designers including several Belmont alumni! Boulevard Record Shop was an official retailer for Record Store Day this April. Their festivities included Record Store Day exclusives, all-day live music, and a Beatles album give-away. 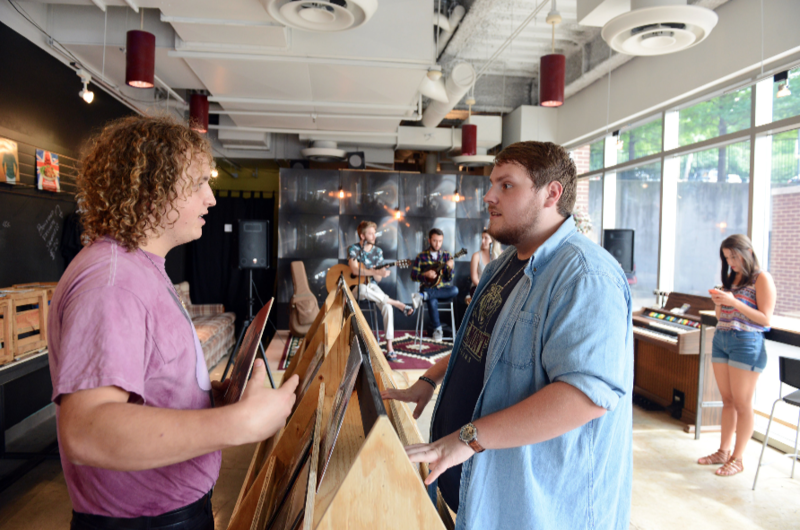 Runway Audio opened in 2016 by Austin Woodruff and Tyler Traeger. They create custom high-end guitar cables and pedal board set-ups. Austin Woodruff is a junior music business student from Denver Colorado. Tyler Traegar is a sophomore songwriting major from Denver, Colorado. On the quest for the “perfect” tone for their music, they began Runway audio. We do boutique and custom instrument leads as well as pedal board set-ups! Basically, we make high-end guitar cables. Our cables are made from the best of the best parts and materials. Also, thanks to our low capacitance actually sound better and allow more tone through then other cables on the market. The idea came in November 2015 and Runway Audio opened in May 2016. DID YOU ALWAYS KNOW YOU WANTED TO START A BUSINESS? IF NOT, WHEN DID YOU REALIZE IT? Austin: I have always had somewhat of an entrepreneurial spirit; I just was never sure what kind of business I wanted to start. Tyler: Honestly, the thought didn’t even cross my mind till Austin came to me and said he wanted too. He told me his vision for Runway Audio and I thought, yea this makes sense, let’s do it. HOW HAS BELMONT HELPED YOU TO MAKE THIS BUSINESS BECOME A REALITY? Austin: Honestly, I do not think that we could have gotten Runway Audio off the ground (pun intended) without Belmont from the classroom experience and curriculum, all the way to the connections that we were able to make. The faculty is very supportive of student entrepreneurs. Our ability to make connections with other students has also been invaluable. Tyler: Belmont has helped me in really 3 ways: I’ve learned specific information I needed to know in class, I’ve learned in general life lessons such as you have to go out and work for something if you want it, and I’ve enjoyed the support of the other students and faculty. DID YOU HAVE ANY CRAZY BUSINESS IDEAS AS A KID? Austin: I tried one summer to do a neighborhood car wash, but I couldn’t even drive yet so who would trust me with their cars? Tyler: Definitely. Young Tyler wanted to open a music school on the moon because clearly practicing your instrument would be much more fun if you could bounce around while doing so. WHO IS YOUR BIGGEST INSPIRATION IN BUSINESS? Austin: I have too many to count. I really admire the CEO of Creation Music Company, they are a small pedal board and amp company in Oklahoma. His company has been hit with some serious roadblocks recently and he did not quit doing what needed to be done. Now, I think his company is better for it. I hope that I could have that kind of vision within a company. Tyler: Honestly for me it’s the many small business owners I’ve met or heard stories about. I just admire how they care for their customers and fight so directly for their dreams. WHAT BUSINESS OR PRODUCT DO YOU WISH HAD BEEN YOUR IDEA? Austin: I wish that PayPal had been my idea. It was a product that fulfilled a simple problem and now is on almost every shopping site on the Internet. Tyler: I heard the guy who invented the credit card reader gets money every time one is swiped so that for sure. ADVICE FOR OTHER STUDENT ENTREPRENEURS? Austin: My advice would be to just do it! This is a great time in your life to take the risk of starting a business. You don’t have a 9-5 job yet, and you income needs are a lot lower than they are going to be in the near future. What are you waiting for? Tyler: Just do it, you’ll never have anything if you never start. Check out these gift ideas created by Belmont entrepreneurs! We will be highlighting our student entrepreneurs who are members of the Accelerator program. The Accelerator is for any Belmont undergraduate student who is launching or running a business. This program is for students who are dedicated to learning and growing a business. Membership includes dedicated office space, consistent time with our Entrepreneur in Residence Shawn Glinter, and resources and opportunities to take your business to the next level! Emily Waddell is a junior Social Entrepreneurship major from Dallas, Texas. Her blog, The Honest Consumer informs readers on the power of their consumer choices. The Honest Consumer shares the stories of social enterprises, spreads the word about ethically made goods, and empowers consumers. Yes, I've always had an creative, entrepreneurial mindset even from the time I was a kid. Where do you hope your business will be at the end of the year in The Accelerator? At the end of the Accelerator I hope to have gained some knowledge on how to successfully grow The Honest Consumers following. I also hope to network through the Accelerator to meet passionate entrepreneurs who can share their success and struggles with me, so I am able to keep their stories in mind throughout my entrepreneurial journey. I had so many crazy business ideas as a kid. When I was in first grade I made and sold bracelets to my friends and family members in order to save up for my first American Girl doll. Even before my bracelet business, my best friend and I would collect all the pencils around the house and when our parents needed a writing utensil we would sell the pencils back for a quarter each....Maybe not the most ethical of my entrepreneurial ventures, haha. In elementary school I also started "Fuzzy Flipflops" where I added fringe and sparkle to flip flops and sold them to my friends. Dale Partridge is one of my business inspirations. I think he did a wonderful job developing Sevenly and now that he has moved away from Sevenly he is always giving good advice to other entrepreneurs trough social media. His book People Over Profit is a must read when developing a new company. I wish I had the idea to start CAUSEBOX, a subscription box of socially conscious items. I love researching socially conscious brands and would have had so much fun picking out the items to ship in the box. I love the exciting feeling of receiving my CAUSEBOX each quarter and wish I could have helped bring that excitement to others. Go for it. You don't want to be wondering what could've been if don't take the risk of starting you business. You never know, it just might be a success. Even if it's not a success the first time, you learn so much from the journey that can help you grow your next entrepreneurial venture.